Welcome to a new era of the RACV Energy Breakthrough. 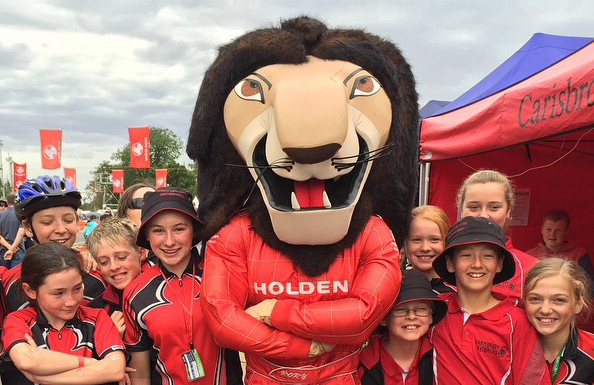 Applications are now open for primary schools participating in this year's RACV Energy Breakthrough to apply for a Holden Mentor to assist their preparation. Let's take a look at some of the likely - and maybe not so likely - contenders lining up for this weekend's 24th edition of the RACV Energy Breakthrough. "When I arrived at the Energy Breakthrough back in 2000, the talk was all about Wonthaggi vs Kurnai for the win. But come Sunday, it was Bendigo Senior and De La Salle racing down to the wire... and it was only decided in the last 20 minutes. They both came outta no where. Will your team be the one that 'breaks through' (sorry, bad pun) from the pack?" 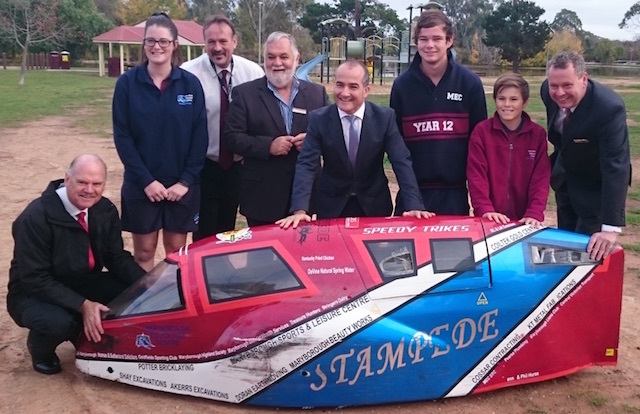 Human Powered Vehicles at St Margaret's School turns 10 this year. It might seem like they've been part of the field forever. Over that ten years they've won 65 categories, fostered 180 riders and built a groundswell of support from parents and ex-students who have kept the show on the road. Sure, many other schools have been involved for longer (Bairnsdale Primary School and Maryborough Education Centre have actually been to ALL 24 Energy Breakthroughs), but at this important milestone we felt it was worth looking a little closer at the man who has been at the helm, Terry Trevena. Reef Rode RAGE Record Breaking Return! Last month the determined Reef Rode RAFE (Ride Against Greenhouse Emissions) team arrived home from their successful 4,000km journey from Ballarat to Port Douglas. Along the way they raised funds and awareness of the need to protect Australia's Great Barrier Reef and broke the lap record at the RACQ Technology Challenge in Maryborough, Queensland. By Katie Harris|2016-12-19T14:21:32+10:00October 23rd, 2014|Generally Newsworthy, Story|Comments Off on Reef Rode RAGE Record Breaking Return! 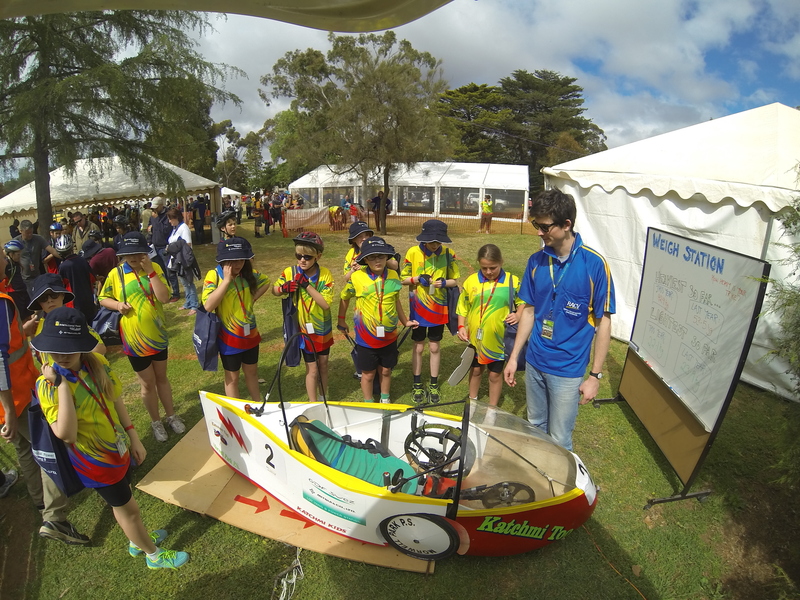 Sometimes the human powered vehicles schools build for the RACV Energy Breakthrough are sleek and light - but fragile. That’s okay, after all they are built for the challenge we set: to complete the most laps in 24 hours. But what if there was a human powered vehicle that could present a viable personal transport option? To explore this notion, the Trisled team took eight of their Rotovelo Velomobiles to the Medibank Icehouse for a one-of-a-kind Ice Hockey Match.